The Suicide Cycle Tour is an exclusive series here on The Proto City that covers the trials and tribulations of the cyclist in cities that just aren’t friendly to them, including Belgrade, Berlin, Bogotá, Boston, Hong Kong, London, Madrid, Manchester, Moscow, New York, Portland, Pretoria, Sydney, Transnistria, and Vienna. This is already the fourth Suicide Cycle Tour, but it is the first one in Asia. Having only written on European cities, this change in geographical perspective should be quite refreshing (although the Hong Kong air quality would suggest differently). This episode takes you and your bike to the real local part of Hong Kong and is a so-called adrenaline booster. As counts for the other SCTs: a helmet, some bravery, and a bit of crazy mindedness is a blessing. Just a warning: in Hong Kong, one in six road fatalities are now cycling-related. 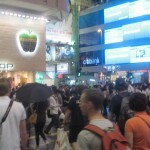 Our point of departure is the Mong Kok MTR Station, at the intersection of Nathan Road and Argyle Street. It is just a tour of about 2.8 kilometers, but with all the exciting features on the road, it feels like an epic journey. 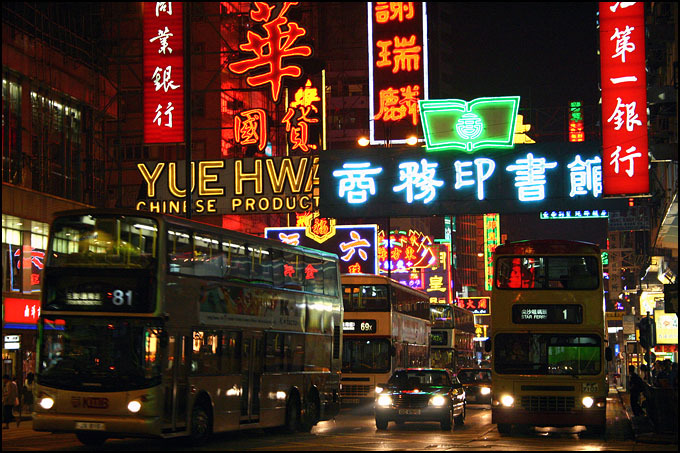 Part of what makes this SCT so epic reveals itself already at the start, as Mong Kok is considered to have the highest population density in the world with 130.000 people living within one square kilometer. In comparison to either Manhattan (26.000 inhabitants/km2) or Amsterdam (3.500 inhabitants/km2), you start to realize how mind blowing that is. And to be honest, one really notices on the street level, as pavements are completely flooded by slowly walking Hong Kong locals. 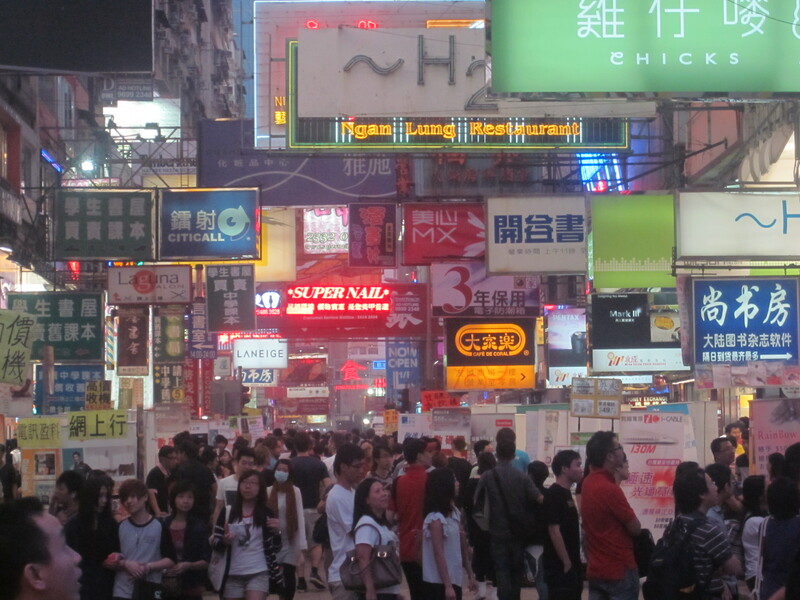 Mong Kok is the free haven of shopping. 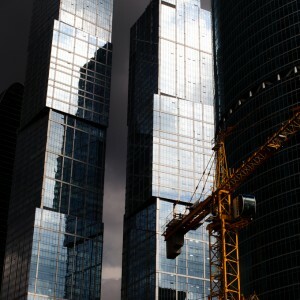 Retail is priority number one and people are getting here only to buy or to sell. Hong Kong’s spirit of making money comes to the fore here. 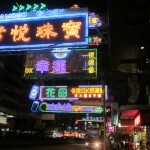 Before we spend too much money on cheesy goods and cheap clothes, we bike south on Nathan Road, towards Yau Ma Tei. You immediately feel that biking here is not the rule. 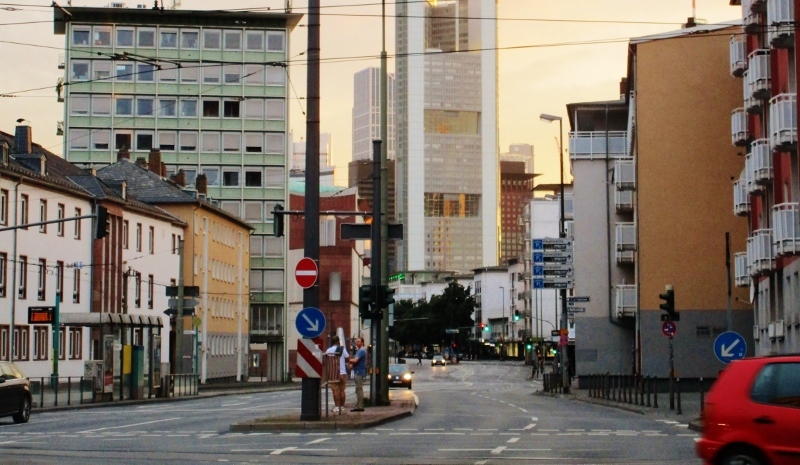 The roads are reserved, as in so many other world cities, for buses, taxis, and cars. 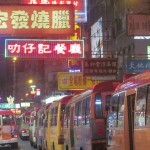 Don’t be surprised to be surpassed by a wall of buses, as Nathan Road includes at least 30 bus lines, which makes it one of Hong Kong’s main traffic axes. As bus stops are evenly distributed over the sidewalks to facilitate the people waiting single-file lines, you run the risk of becoming trapped between the bus and the pavement every 20 metres. 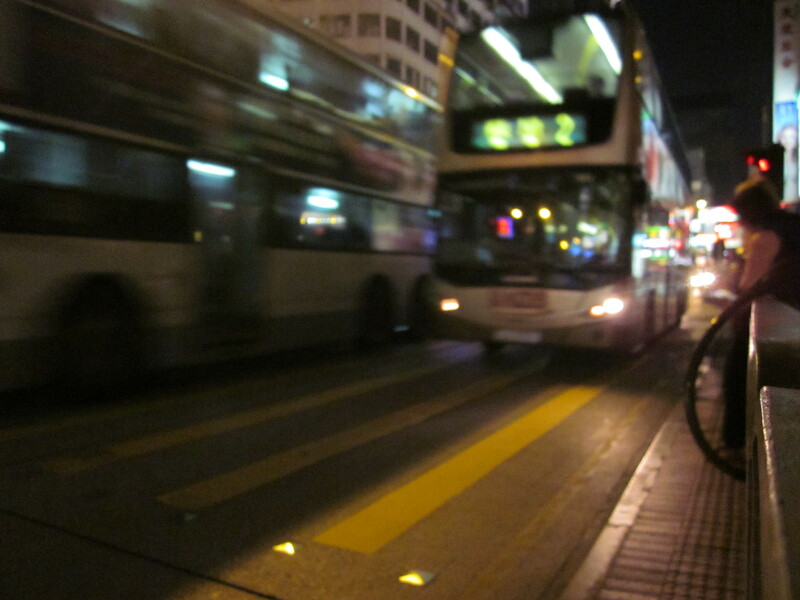 And please, don’t expect too much consideration of the craziest road users of whole Hong Kong: bus drivers. 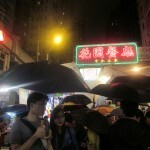 Coming to Yau Ma Tei, you’ll see some public parks where elderly people play mahjong or Chinese chess to kill the time. Also, during the evening, you can enjoy some Cantonese opera, performed by people just loving the real deal: singing outside with a modest crowd sitting on plastic chairs. The live music is part of the Temple Street experience: a lively night market with all kinds of touristic pleasantries and a wide variety of food places. Cycling onwards, you notice already the third subway station called Jordan. It stipulates Hong Kong’s mass transit orthodoxy. And, to be fair, they are doing a fine job, as public transportation has a modal share of more than 90%, leaving cars far behind with 7%. But, in this environment where every infrastructure piece is designed for the masses, there appears to be little room for the individual-based cycling infrastructure, at least not in the inner-city. 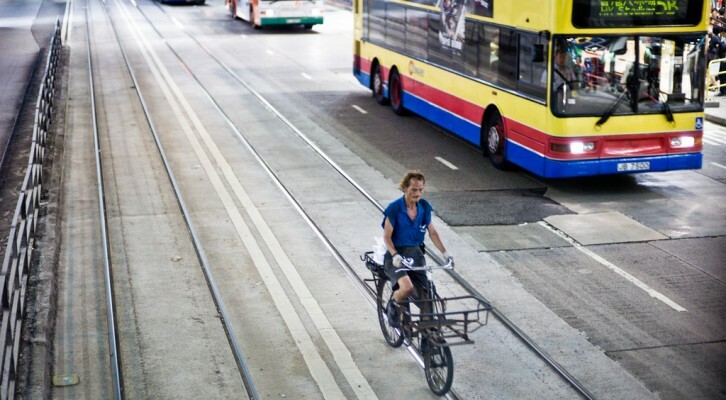 Cycling policies in Hong Kong are solely focussed on the New Towns, to connect people from their homes to the local MTR station. As a rule, if you see a cycling lane in Hong Kong, you’ll definitely be in a New Town located in the New Territories, likely closer to Shenzhen than to Central Hong Kong Island. This ensures that the short distances will be done by either taxi or walking, leaving the roads as well as the pavements congested. At Jordan MTR, you’ll definitely notice the elevated Kowloon Park on your right-hand side: these are the lungs of Kowloon. The space where you can escape the hustle and bustle of Tsim Sha Tsui and breathe in some fresh air to revitalise your lungs, which, after a couple of minutes cycling on Nathan Road, are drenched in pollutants. The last part of our cycling tour is there, leaving the Kowloon Park on your right side, you bike into the heart of Hong Kong consumption (at the K11 mixed-use development) and entertainment (at the narrow-but-packed Knutsford Terrace): Tsim Sha Tsui. 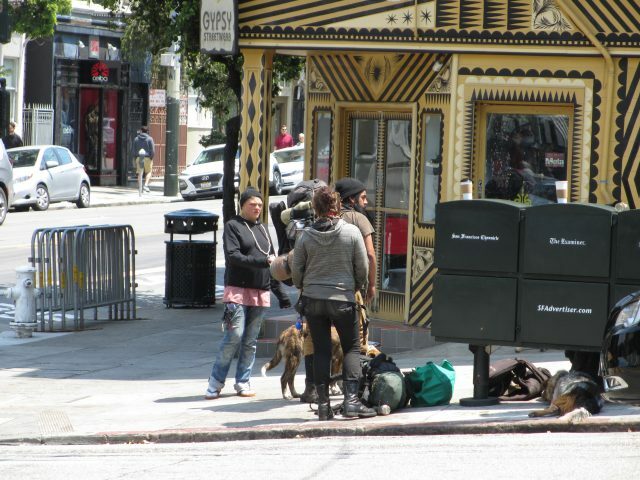 This part of town is one with the biggest contrast within several blocks. Whereas the road lightens up by branches of Versace, Rolex, Yves Saint Laurent, Gucci, Lacoste, Giorgio Armani, Calvin Klein, Ralph Lauren, Dolce and Gabbana and Prada (to name a few), it also gives place to shifty estates such as Mirador Mansions or the infamous Chungking Mansions (social anthropologist Gordon Matthews offers a great read on the building in his book, Ghetto at the Center of the World). Especially at the building’s intersection with Peking Road, you’ll notice that this is a truly multicultural environment: a hub of people from the Indian subcontinent or Sub-Saharan African nations mill about both mansions, passed by mainland Chinese consumers, European backpackers, and Hong Kong commuters. After having cycled along Nathan Road, having seen so many diverse features of the Kowloon part of Hong Kong and having survived the bus collisions, you get your reward. 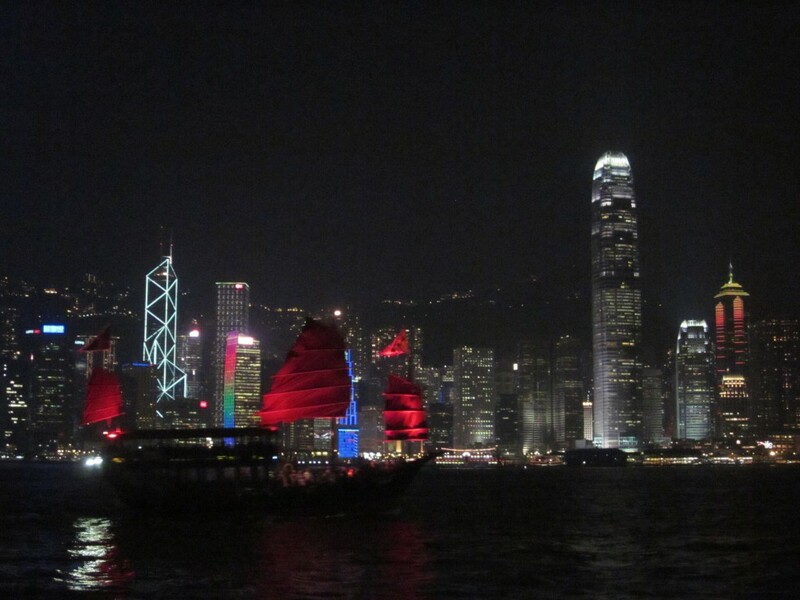 The end is the Tsim Sha Tsui promenade next to the Victoria Harbour. As a Suicide Cycle Tour always finishes in style, you can leave your bicycle for a while and grab onto a bottle of Tsingtao, while enjoying the million dollar view over Hong Kong Island’s Central Business District. Ha! Lovely post. And my respect for risking your life for it.